Over the last decade or so, we have been experiencing a lot of developments in India’s insurance sector. Star ting from enhanced health insurance plans such as disease-specific covers to zero depreciation policy in car insurance and the newly introduced long-term two wheeler insurance policies; the progress seems to have encompassed all segments of insurance. However, what’s in store for India’s sportspeople who are associated with different types of sports? Let’s start with India’s most coveted sport; CRICKET. The richest cricket body in the world, BCCI paid Rs 11.68 crore on premium to avail insurance policies worth Rs 3,382.98 from the July of 2013 to the April of 2015. In a bid to save players from losing out on match fees for injuries or any other reason, the Board ensured contracted players. BCCI spent Rs 3.37 crore on premium for a sum insured amount of 187 crore for "special contingency insurance for players' loss of fees". Let’s have a look at how BCCI’s expenditure on insurance increased over the years. This policy is crafted for those business establishments that look to have all possible risks related to their equipments integrated in one insurance policy. PSU insurance companies like New India Assurance, United India Insurance have this type of insurance cover in store. In 2014 alone, the BCCI spent a staggering Rs. 25 crore on premiums for an extensive coverage that includes Mumbai headquarter, trophies, players, equipment along with T20 matches of Champions League and IPL, trophies of these two events. The coverage further includes medical insurance for players, the support staff and the administrative staff of BCCI. BCCI offered compensation of Rs. 25 lakhs to the family of Ankit Keshri, who died due to an on-field collision in a club game in Kolkata. The group insurance policy of BCCI was used to good effect to make the compensation. So, cricket is not only the most popular sport in India but also when it comes to insurance, its controlling body; BCCI is way ahead than federations associated with other sports such as Boxing. However, very recently, the sport witnessed some momentum as the Boxing India has decided in the September of 2015 to provide women boxers who have won medals with the Pradhan Mantri Jeevan Jyoti Bima Yojana with a view to encouraging female boxers in the country. But, such a small step does fall short to meet the actual need of thousands of aspiring boxers in the country. Instead of covering only medal-winners Government should start providing insurance schemes from the grass root level. While Boxers are finding it hard to get personal accident cover, other sportspersons in India are absolutely unaware of the insurance plan that is available to safeguard their career. Let’s start with athletes. Not too long ago, High jumper KC Chandana met with a bizarre accident and had suffered multiple fractures in 2013. Chandana’s family and friends had to run from pillar to post to gather funds. This incident alone is enough to draw attention to the predicament of athletes in India that compete without insurance cover. The majority of leading athletes in India are fighting tricky circumstances. To add to their misery, most of them are not highly educated and not aware of the insurance schemes that are available for them for protection. In 2011, the Karnataka State Government proclaimed an insurance scheme free of cost called Yuva Krida Sanjeevini to address the plight of sportspersons. But unfortunately, a fair share of state’s sportspersons was not covered by the scheme as of 2013. Here is detail information about the insurance scheme. When it comes to covering sports persons taking part in adventure sports, India has a handful of insurer. Some of the providers like Cholamandalam and Bajaj cover injuries arising out of adventure sports in their travel insurance policies. ICICI Prudential also has injuries covered if policyholders take part in these sports only twice a year. Overseas travel policies on offer by Bajaj cover adventure sports only if insured people take part in mountaineering and winter sports where ropes and trained professionals are in place. Insurance companies that cover adventure sports in India usually impose high premiums on customers as the chance of disability or death is higher. Cholamandalam's silver travel plan points that out blatantly. 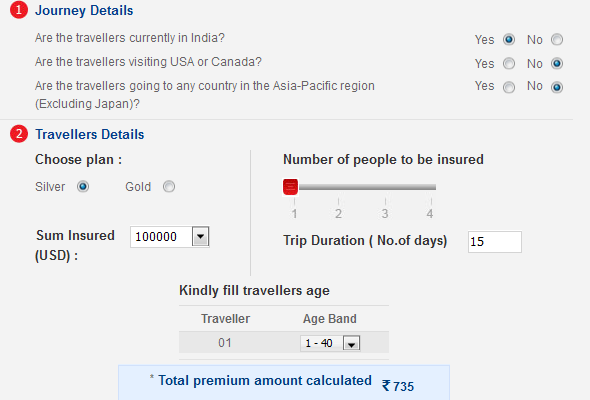 An individual who is 30-year old on a 15-day overseas tour to countries other than the US & Canada is charged Rs 735 for a $100,000 cover. However, if a person chooses to include adventure sports in the coverage, the premium rises to around Rs. 2500. Oriental Insurance came up with a sports insurance policy in 2012 for amateur sportspersons in India. This plan covers for, accessories, sporting equipment, apparel, personal belongings. The policy further offers protection from damage arising out of burglary, fire, theft, house break. The sports insurance policy by Oriental Insurance is also armed with personal accident benefit and policyholders are also insured from legal liabilities towards public. This is well and truly a boon for budding sports enthusiasts in India. Parents of budding sports stars future have found this plan very effective. Mumbai University in the march of 2014 came up with a medical insurance scheme for all their players that represent Mumbai University in every sport. This will ensure that the players are not left to worry about expenditures when they get injured while playing. Players no longer have to worry getting injured while playing. Mumbai University sports director UN Kendre said, "We are going to medically insure our young sports stars from the coming academic year. This will certainly help them perform better. The insurance will cover injuries when they represent the university". After the tragic incident of a 17 year old national school champion named Sachin Kagdra who suffered a fatal neck injury during practice, sports director Jagdip Singh proclaimed that all players in Haryana participating at the district, state, national and international levels will be covered for injuries incurred due to sports activities. Sachin Kagdra has already been compensated by the district administration. Singh further added that Haryana state government has allocated a budget of Rs 198 crore for the insurance cover. Playing any type of sport at any level be it district, state, international requires one to remain fit and healthy for years. 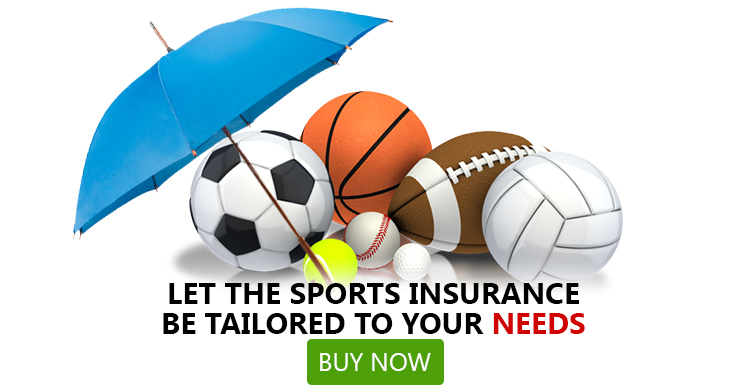 An insurance cover for people related with various types of sports is therefore a must. Aside from the peace of mind of staying protected, an insurance policy also helps players get the benefit in time of a crisis. Many a time, sportspersons come across injuries that some time lead to disability and even death. But, sadly in India, we are yet to experience a consolidated effort from all insurers encompassing all types of sports. Only a few isolated moves don’t suffice to meet the needs of millions of sportspersons in India. It is high time that sports organizations sit with underwriters of insurance companies and come up with customized insurance products to meet the unique needs of people engaged in varied sports. Hopefully, we will witness a flourish of insurance products designed for sports personalities in coming days. Cricket shouldn’t be the only sport in India with adequate insurance covers for its players. Federations of other sports should also follow the example set by BCCI. Of late, the huge profusion of insurance company’s portal coupled with comparison sites has made the finding and availing insurance policies an effortless task. Websites like GIBL is the way to go for sports organizations to find, compare and avail the best insurance plan for millions of young sports talents growing in cities, suburbs and even in villages in India.